A simple medium variance slot with two key features – Solar Discs that turn all instances of single or multiple symbols into wilds – and a free spins round with 10 plays and GUARANTEED Solar Discs on each spin, giving you the chance to hit the top payout on a full screen of wilds. Solar Disc has a 96.01% RTP and spins from 50p to £500 per go. Where Can I Play Solar Disc Slot? On its release in September 2018, Solar Disc is available only to slots players at Vera and John Casino, before going on general release later in the year. This slot has been available for a long time in bricks and mortar casinos and is notable for its excellent graphics, look and feel. 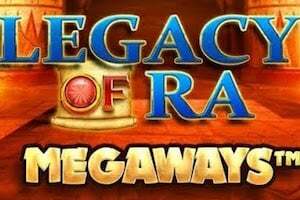 If you’re after a game with massive payout potential I wouldn’t spend too much time on Solar Discs, though it’s abundance of Wilds and good value free spins round makes it worth a play. This is a 6-reel game on 4 rows with 26 fixed paylines from left to right. You can play from 50p to £500 per spin. The backdrop looks like a kind of Ancient worshipping ground to the sun-god, filled with gold coins. The variance for Solar Disc slot is medium. There is a mix of symbols in the game, from coins, keys, masks and chalices to a bear and a lion, the latter of which are premium and pay out at 5x for six on a payline. Watch out as well for the Wild that replaces all other symbols bar the scatters and Solar Discs. The Solar Disc itself can appear on any reel and will reveal another symbol. When it does, all other instances of that symbol will turn wild. You can score more than one Solar Disc per spin. There is also a Bonus / Scatter symbol that will trigger the free spins round. The Solar Disc feature will appear whenever you land Solar Discs on any reel. There is also a Free Spins round, triggered by landing a Bonus Symbol anywhere on reel 1, AND one or more Solar Disc symbols on ANY other reel. You get 10 Free Spins during which on EVERY spin you are GUARANTEED to land a Solar Disc on the reel(s) that contained a Disc on the triggering spin. So … if you land a Solar Disc on each of reels 2 to 6 on the triggering spin you are GUARANTEED to land another on each of those reels for 10 free spins, opening up big win opportunities. Solar Disc is a classic IGT slot with some good potential to score decent payouts in the bonus round. This is a medium variance game and triggering the free spins may take some time, but if you kick it off with 3 or 4 or even more Solar Discs in play, that’s where the money is! Game on!